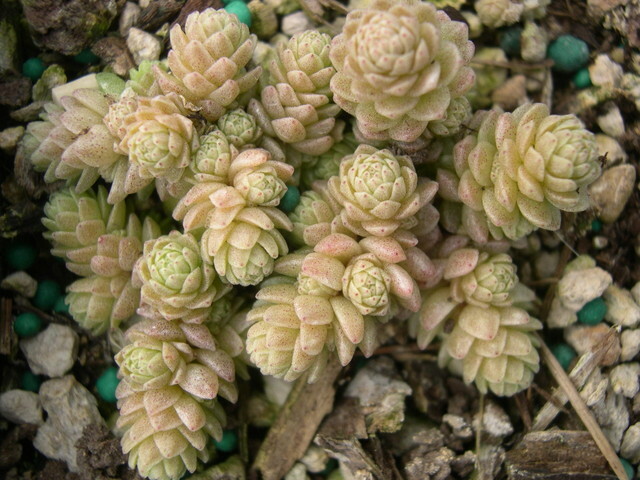 Tiny compact green rosettes form a tight mat. Round White flowers that don't open very far but have a nice light fragrance. Tender miniature variety that will not tolerate frost.